Winter has insisted that it stay a little longer, but we’re thinking ahead to warmer weather! I’m definitely on the lookout for those first flowers that poke their little heads out of the cold ground. Our friend and brilliant cheesemaker Peter Dixon, from Parish Hill Creamery, visited the shop last week. He was a reminder that warmer weather is imminent. 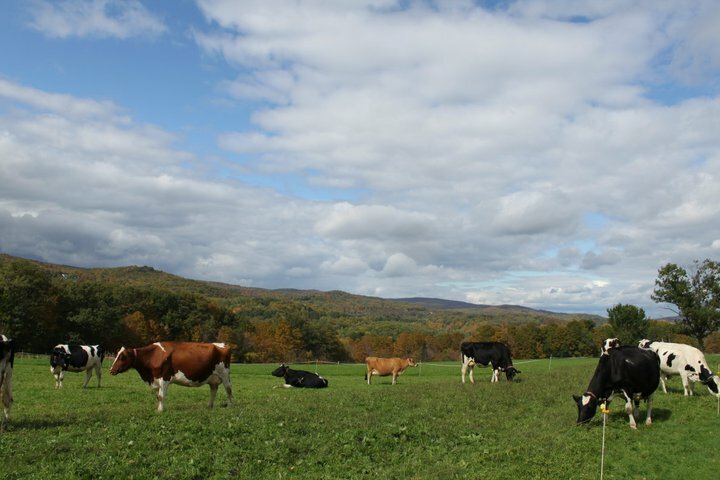 Since Parish Hill only makes cheese when the cows are out to pasture (which in Vermont means summer and fall), the new wheels of Hermit, Humble and West West Blue make us think of sunny, bright green pastures dotted with wild flowers and herbs. And even though we’re still in the stage where all of nature seems to be somewhere between brown and beige, these cheeses remind us of the good things to come. So bring it on Spring! We’re ready!